A marketing plan is so important for your business and for your growth. Don’t just wing it. When you have a simple set of steps and strategies to go through, like clockwork, its going to make it so much easier to grow your business. In my last blog post/video, how to get started as a new business owner, I spoke about focusing on the money making activities and not getting too caught up in every single marketing idea you have. For example, you don’t need to be on Facebook, Pinterest, Twitter AND Instagram. Ideally you should pick just one or two and become a master of them. You just need a few solid activities that you can focus on and be consistent with to make money and to grow your business. 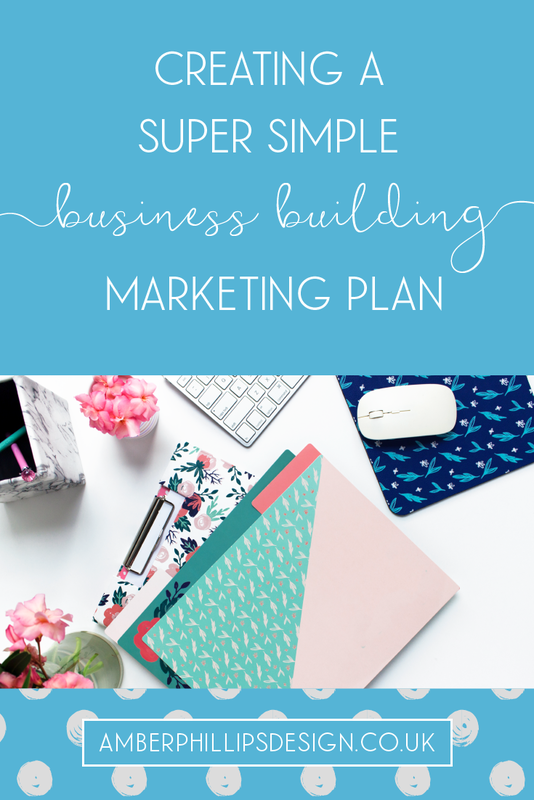 Watch the video below or scroll down to read the blog post and get started on your super simple business-building marketing plan! The other day I was watching a webinar by Haley Burkhead from ProfitPlanner.co about how to make consistent income without working crazy hours. If you haven’t heard of Haley, definitely go and check out her website and podcast – she’s amazing! In the webinar she said to think of each marketing activity like a bridge. You need to go from where you are now to where you want to be, or where you want your business to be. You don’t need lots of bridges to get there, you just need one. If you try Facebook but only put a couple of posts out there and then try Instagram and then perhaps try guest posting or write one or two blog posts… You’ll have a lot of half finished bridges. And half finished bridges won’t get you anywhere! They’ll just waste time and resources. The best way to grow your business is to figure out what key activities will grow your business and consistently focus on those to build your complete bridge. You don’t have time to do everything and you don’t have time to constantly market, which is why we want to focus on the simple marketing strategies. Even when you do get really busy and you think you don’t need to market anymore, you do need to keep marketing! You need to make sure you’re staying visible, staying fresh and still attracting clients so you have a consistent flow rather than a ‘feast or famine’ cycle. You may now be wondering, well what are my money making activities? OR you can use my Google Spreadsheet below! 3. Evaluate each marketing activity and then highlight between 1 and 3 to focus on. What’s going to be best for your audience? What’s going to be best for you and the time/budget you have available? What’s going to be best for your results and revenue? Subscribe to my newsletter to receive regular helpful information, and occasional marketing messages, to help you build your dream business and also get access to a free super simple business-building marketing plan template! In the ‘target audience views’ column, write down what your target audience might think. For example, for blogging, my audience don’t have a lot of time but enjoy reading blogs, so I wouldn’t dismiss blogging altogether but I’d write in this column to add checklists or an overview to summarise the blog post when my audience is short on time. In the ROI section, it’s probably going to be more of a return on time investment than money investment, but either way, what will you get out of it? Is it a long term strategy or are you going to get quick results? The next step is to copy those key marketing activities that you’ve decided to focus on into your marketing plan. Here’s an example of mine. 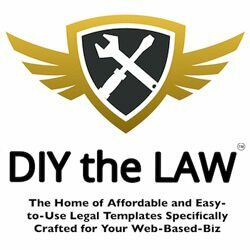 That is my whole marketing plan – simple, huh? Use Google Sheets to make your marketing plan even simpler! I like to use a Google Spreadsheet and checkboxes. It has all of the days of the month along the top, the activities down the side (as well as ‘daily’, ‘weekly’ and ‘monthly’ dividers) and then a checkbox where an activity must be completed. It helps to keep me accountable and it also makes my marketing plan crazy simple! Who doesn’t love a checkbox!? This checkbox system also helps you to stay consistent. I’ve mentioned consistency a lot throughout this post but it’s key to a business-building marketing plan. You need to show up. You need to be consistent. You need to stick to these few simple strategies and it will make it so much easier to build your business. Don’t feel like you’ve got to stick to the same plan forever. You could try a new strategy each month for example, but I’d recommend changing things little by little rather than a major overhaul of your marketing. Make small changes and evaluate what happens. See if it makes your sales go up or if it makes your website traffic go up and just try new things little by little. Do it strategically and track the results. 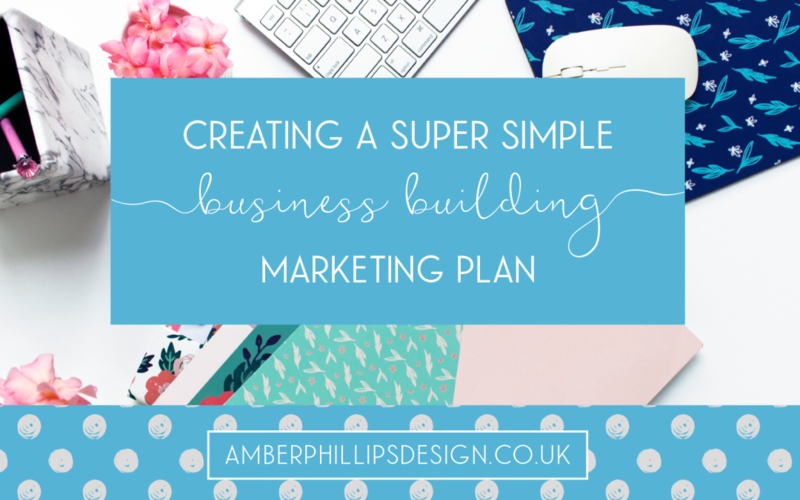 I’d love to hear how you get on with creating your simple marketing plan and what you think of this strategy! Send me a message or join my Facebook group, Amber in my Pocket.